Why sbin stock today’s high showing as 339.46. While it’s future high price is only 319. Also can’t see that price on charts too. Does that mean that every stop loss order till price of 340 got triggered. Any reason why this happen . 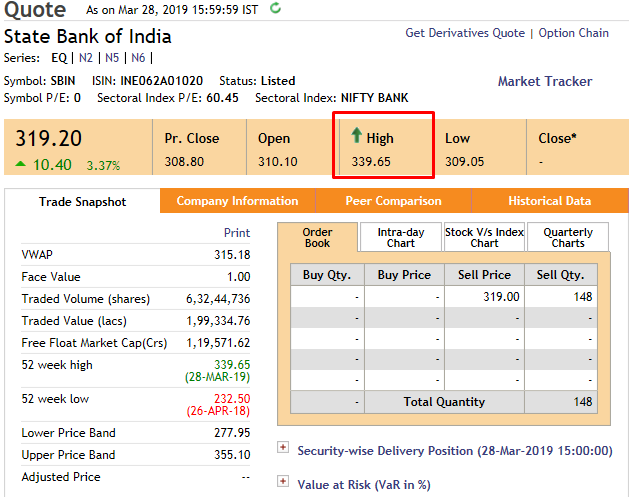 Why does this sudden spike in stock price and at same time back to normal level without being accompanied by increase in its future and options price . Looks like some freak trade or a sudden spike in volumes at the price and time.